The official first day of spring usually occurs on March 20th, although some years it falls on the 21st or even the 22nd. Spring is all about rain and rainbows, flowers blooming, and baby animals arriving. 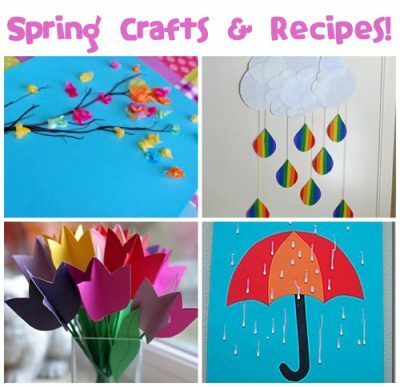 Celebrate spring with any of our hundreds of spring crafts and recipes for you to try. Here are 10 of our favorites. 1. Paper Plate Nest of Birds – This adorable craft is made with construction paper, a paper plate, and cotton balls. Googly eyes give the baby birds so much personality. 2. Butterfly Cupcakes – Decorate cupcakes with elegant, pretzel-winged butterflies. They are easy to make and simply beautiful. 3. Umbrella Collage – Embrace the spring rains with this colorful collage. After painting a background, draw, cut and paste vivid umbrellas all over the page. 4. Egg Carton Bouquet – Instead of recycling egg cartons, turn them into this colorful bouquet. It’s a beautiful project for spring. 5. Sheep in the Meadow Collage – This clever project uses masking tape as a resist. Cute little sheep add the perfect finishing touch. 6. Spring Flowers Pudding Cup – Welcome spring with this simple snack that tastes great. The fruit flowers couldn’t be cuter! 7. Kite Sun Catcher – Decorate windows with colorful kites made from construction paper and tissue paper. This colorful display will make everyone smile. 8. Fluffy Sheep Cupcakes – These silly sheep have roly-poly cupcake bodies covered in fluffy white frosting fur. Candy melt ears attach to a Peppermint Patty head. 9. Plastic Spoon Felt Flowers – Turn plastic spoons into pretty flowers with this fun springtime craft. Felt, paint and plastic spoons are all you need. 10. Paper Plate Butterfly – Make a colorful butterfly out of a cardboard tube and a paper plate. It’s so easy to do! 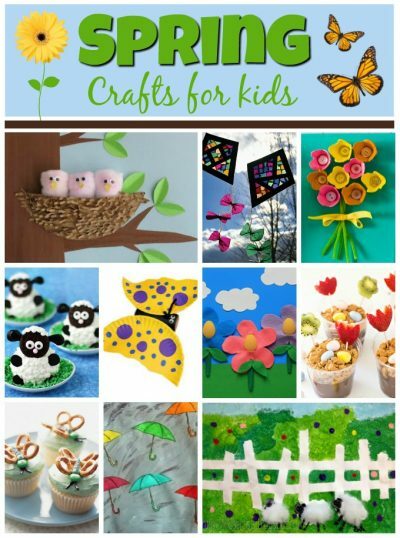 Be sure to check out all 900+ spring crafts and recipes!